Upgrade your Pico-Plus 3D additive manufacturing system with this four-point build platform calibration bracket. The advantage over the original 3 point system is an improved and more stable Z axis calibration. 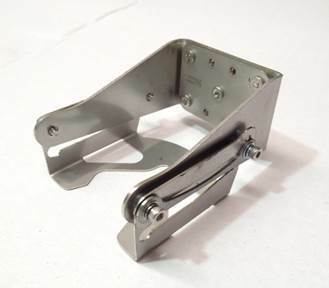 This bracket along with the extended machined aluminium build platform allows you to calibrate to the 0 point right on top of your tension ring instead of using the calibration glass plate. Again, this improves Z axis calibration.